They’re here ….Our new Felted Alpaca Soap! New size. New Design. New fragrances and coming soon …. Unscented! 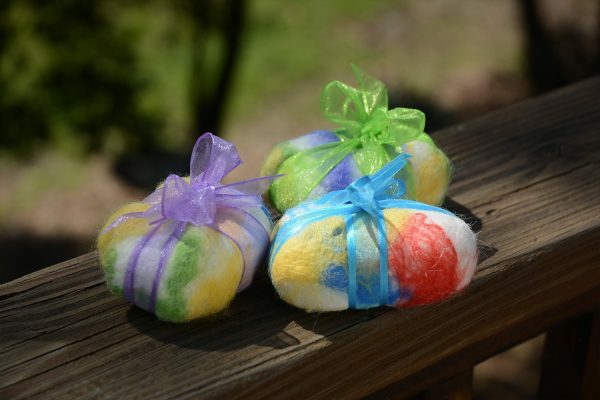 Perfect size for the palm of your hand, these felted soaps will exfoliate and wash you at the same time. 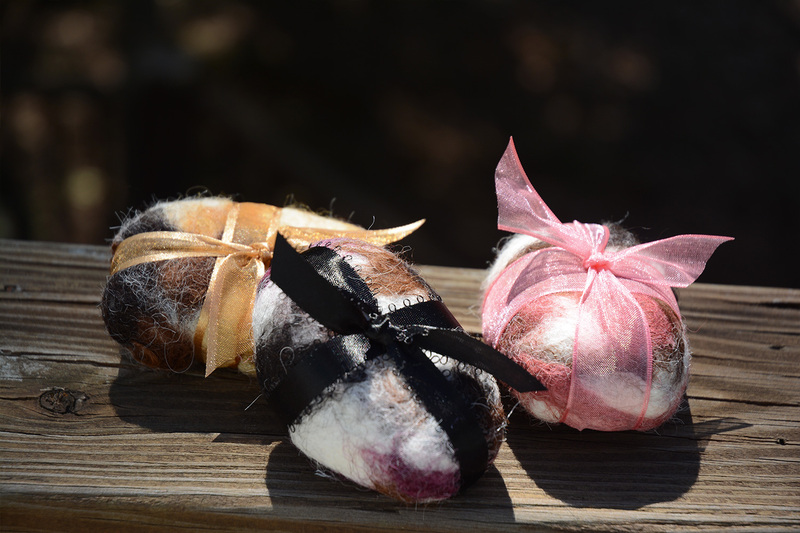 Made of natural goat soap and covered in felted alpaca. Current Fragrance is Lavender and the following fragrances are coming: Waterfall, Tweed, Through The Woods and Unscented.